Teach for a Day at Camp Simcha- All Summer Long! 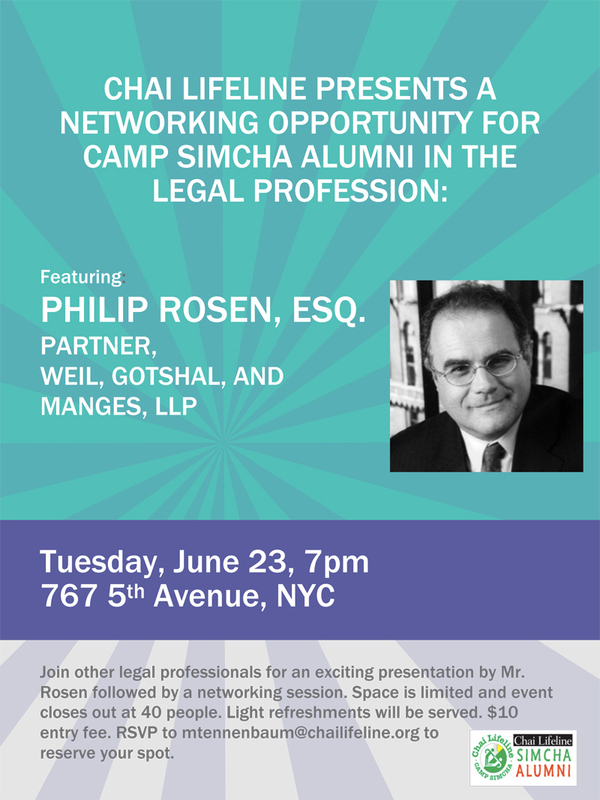 Be a part of the greatest team as our former staff and campers come together to raise significant funds and create meaningful impact for our Chai Lifeline families. Sign up today. Vegas (November 2017) and Miami (January 2018) options. with boy's head counselor Ari Dembitzer and fellow alumni. 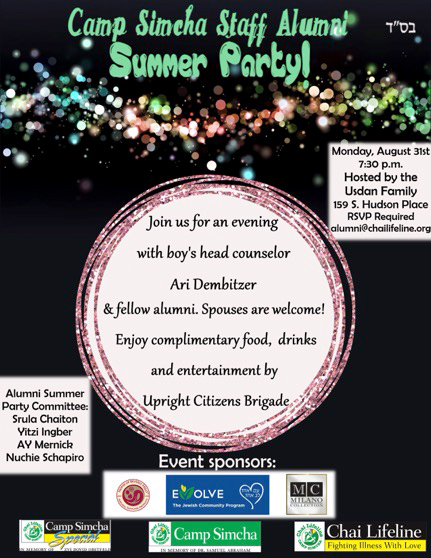 Spouses are welcome.Complimentary food, drinks and entertainment by Upright Citizens Brigade. 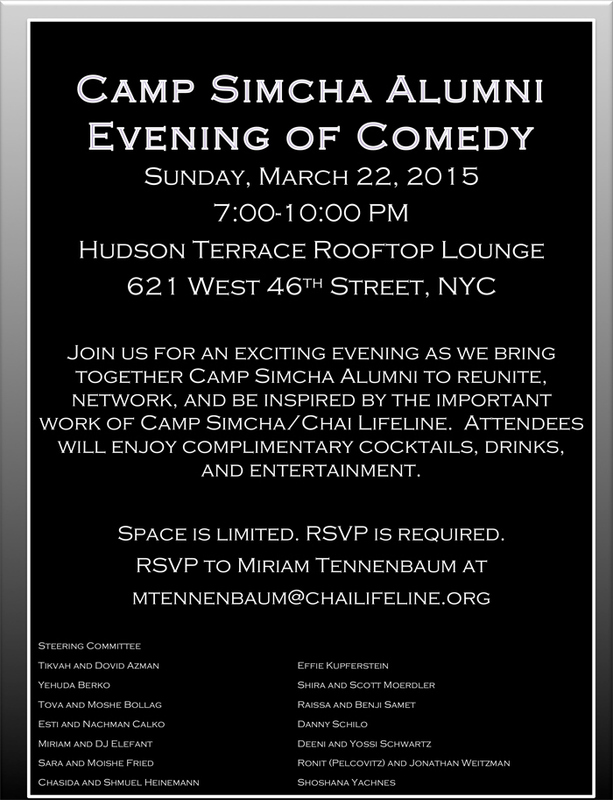 An evening of BlackJack to benefit the children of Chai Lifeline. Play for a cause.